The Commonwealth Businesswomen’s Network, an accredited organisation focused on women’s economic empowerment recognised by all Commonwealth Governments, announced during the CHOGM Business Forum that it is working with key stakeholders including in Malaysia in the establishment of the world’s first integrated electronic platform across 5 continents for women in business so they can do business, acquire knowledge and connect with each other to make the benefits from trade, talent and training available and accessible to a billion women. The CHOGM Communiqué in Colombo in 2013 recognised the importance and potential of women’s entrepreneurship for economic development in the Commonwealth. The challenge and the opportunity now is how we can support women in business to connect, collaborate and do commerce so they can accelerate internationalisation, growth, competitiveness and export diversification. 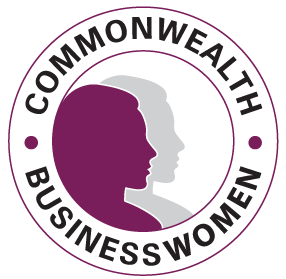 The Commonwealth Businesswomen e-platform offers a powerful approach to making this happen. The platform aims to be fully operational and delivering tangible outcomes during Malta’s term as Commonwealth Chair-in-Office so that by the time Malaysia hosts CHOGM in 2020 and assumes the Chair, collaboration with governments and the private sector can take these businesses to the next level so that we are not only starting businesses but growing them and the breakout strategy for SMEs and women entrepreneurs in the Commonwealth is a reality.